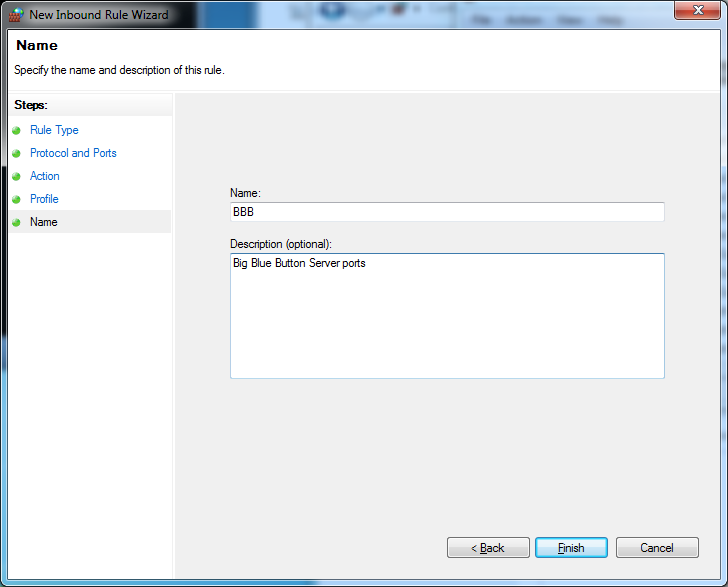 If you have set your Big Blue Button server Virtual machine to use NAT and you need to give others access to your Virtual Big Blue Button server on your windows 7 machine, ports 80, 1935, 9123 should be opened. 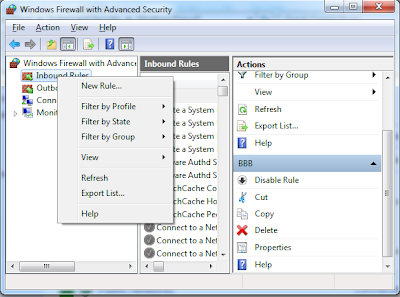 To do this open "Control Panel\System and Security\Windows Firewall". 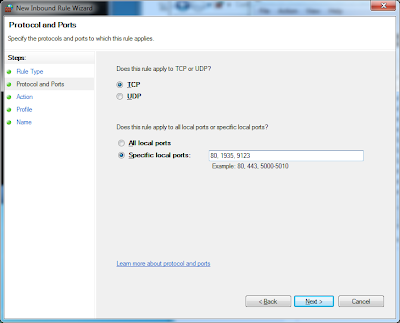 In New Inbound Rule select "Port" and click on next and enter the specific ports: (80, 1935, 9123). 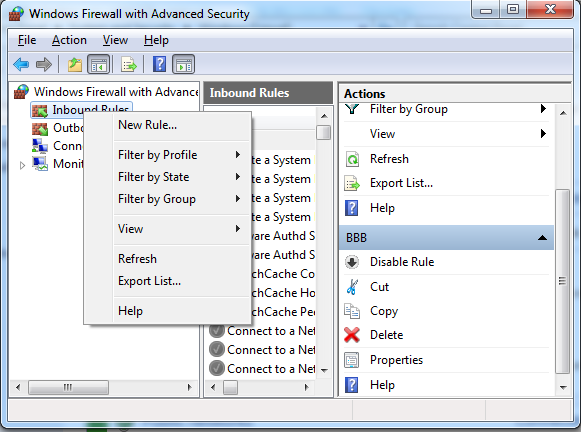 Then click on "Name" and enter a name for this rule (in this case "BBB" would make sense) and click on "Finish".